Many of you might have noticed that StubbyDog has a very strict policy about not allowing “Urgent Dog” postings on our Facebook page. This isn’t because we don’t care, it isn’t because we want to ignore the situation or the fact that dogs do go with out homes and often end up having to be put down, it isn’t even because we want to keep everything butterflies and rainbows on our site and ride around on unicorns all day. 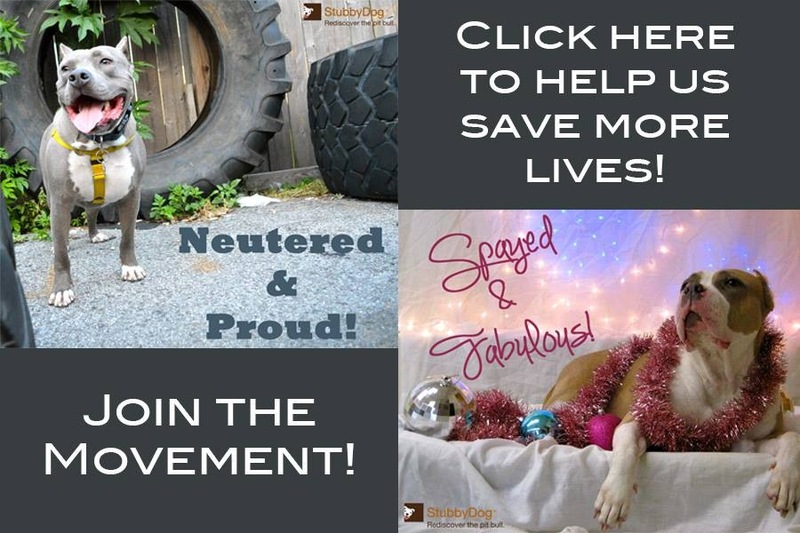 No in fact it is because we care, it is because we want to help find more good dogs homes, and it is because we are painfully aware that good dogs (all types of dogs, not just pit bulls) get put down daily, that we choose to delete urgent dog postings. In the end, we want the same overarching goal as these passionate posters, we just believe in a different way to achieve this goal. 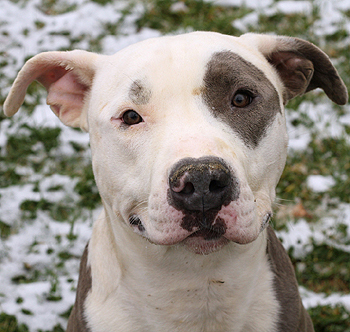 From the very beginning, StubbyDog has been an organization focused on fixing the root of the problem, public misperception about pit bulls, not focusing on a triage solution. In order to stay focused on making a difference at the foundation, it is very important that our messages and advocacy efforts don’t become distracted and overwhelmed by these daily urgent calls. Dogs need homes, that’s a given, but what StubbyDog is more concerned about is why these dogs need homes? Why are they in the shelter? Why haven’t they been adopted yet? And when you answer these questions, you find an answer that is very in tune with the StubbyDog mission. Imagine this scenario: Every day you are forced to walk through a field full of thorny brambles. Obviously you keep getting cut up as you maneuver through the endless thorns. With each new cut you stop, put a Band-Aid on and slowly keep trying to move forward. It is very easy to be so focused on the immediate pain and stopping the bleeding of new cuts that you forget about what your true problem is – not the numerous cuts, but the thorny brambles. At StubbyDog, our mission is to remove the brambles (or at least as many as we can), so you end up having to use less Band-Aids. Lots of different voices are needed in this journey to make the world a better place for our dogs. Legislative and advocacy organizations, rescues and shelters, fosters, etc. We all are important pieces of the puzzle, and recognizing the fact that we all must focus on our individual roles is vital to successfully moving forward. So final thought: Don’t get so focused on finding the right Band-Aid, you forget what’s causing the wounds in the first place. Wait wait wait wait. By being a foster, am I in the wrong business? I assumed this was the quickest way to reach my goal of riding around on unicorns all day. @TecmoSB No, no. “Lots of different voices are needed in this journey to make the world a better place for our dogs. Legislative and advocacy organizations, rescues and shelters, fosters, etc. We all are important pieces of the puzzle, and recognizing the fact that we all must focus on our individual roles is vital to successfully moving forward.”You are a big part of what makes saving animals and the world they live in a better place! keep being a foster, and keep spreading the good word! @honeyremedy I appreciate your kind words, but I was just joking. My goal has never been to ride around on unicorns all day lol. @TecmoSB You are not in the wrong business, at all. The point in this post is so right, many organizations focus on just saving the animals, and while this is VERY important, we need to also target the root of the problem. Only then will we be able to truly make a change. There are those who can foster and those who are focusing efforts like @StubbyDog; we need to realize we all help he cause, just in a different way. Thanks Laura! You are so right! We all have a part to play in this mission. There are many many wonderful groups working tirelessly to save as many souls as possible, fighting the many smaller battles (and passing out band-aids). But if we want to win the war, we need a group like StubbyDog to keep the larger picture in the scopes. Thank you for all you do. It is also a welcome relief to come to this site and read about pit bulls and gain a sense of pride and joy, rather than sadness. Anna, I read your study on pitbull adoptions and forwarded it to Randy Hillier’s office. They have been seeking experts to speak in Toronto on Bill 16 to overturn BSL. They tell me they are inviting you to speak!!! Sure hope you will be there to help abolish this stupid legislation. Anna, I read your study on pitbull adoptions and then forwarded to Randy Hillier’s office. They tell me that they are going to invite you to speak on Bill 16!! Randy is trying to overturn the BSL legislation in Ontario and was looking for experts to make presentations there. I hope you will be able to go and make a difference for bully breeds everywhere!! Thank you! I will absolutely attend, and help in any way I can. Thank You! I will absolutely attend, and help in whatever way possible. I also sent the information on Bill 16 to Best Friends Society, and they have offered their support as well. Fingers crossed!! That is so wonderful Anna!!! Thank you for all you do!! This is an amazing way of looking at the situation – thank you so much for sharing the Stubby Dog perspective. As a rescuer who runs a FB page that allows – even promotes – urgent dogs, I too agree that we need to solve the bigger problem and therefore end the necessity of frantic promotion of the death row dogs. I try to do both, and no matter what, I do strive to stay focused on “the big picture”. It’s a daily challenge, though, as I’m sure you know. Thanks for all you do. It’s so appreciated. @christielici0us Thank you so much for this great reply Chrissy! I’m so glad you chimed in here. And thanks for all you do! I agree! I started my own advocacy group for pit bulls and their owners in my community almost 2 years ago. It evolved from my volunteer work as a Community Animal Assistant for Best Friends. However, I quickly got pushed to rescue also. I suddenly had 3 rescue dogs and was quickly getting pushed towards rescue rather than my original goal of advocacy. I had to push back and keep my eye on my goal. It was frustrating because people in general were not much interested in learning anything or working towards solutions to the problems, they were only interested in someone else solving their problem because they could not or felt they didn’t have the time. This was the case for both the general pet owners AND the rescuers/shelters. In their minds, if I couldn’t just take a dog or two, I was of little use to them. When it comes to rescuers, I’ve found that they either soak up information/resources/ideas like a sponge or they have the perception that they “don’t have time for it.” Once I developed a relationship with a very small shelter in an outlying town, it helped to get other rescuers to take notice. The staff and volunteers at this shelter are eager to learn and will take any help they can get. They don’t expect anyone else to do the work for them. All they needed was resources and ideas. Slowly, other rescuers are starting to pay attention and are more open to assistance, resources and ideas. It takes time, patience and persistence but changing perceptions is vitally important. @GVPC Thanks for the comments and keep up the great work you’re doing!